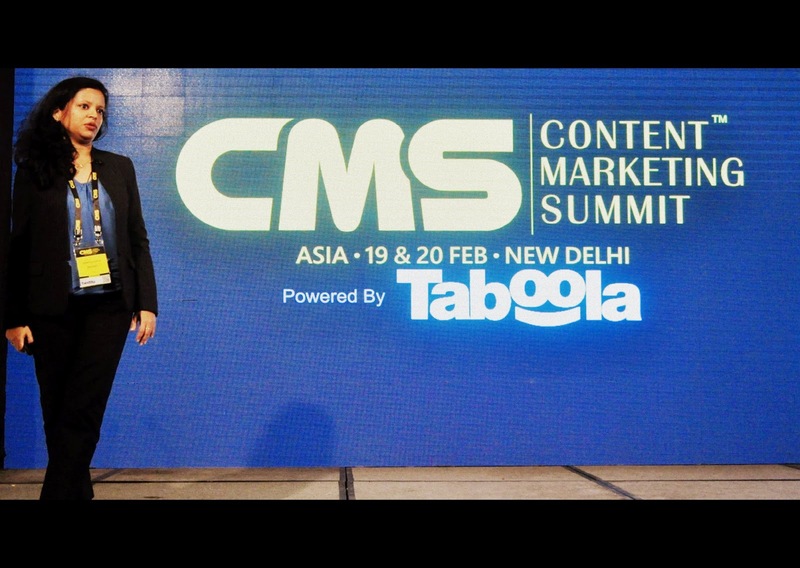 Last week I attended the Content Marketing Summit (CMS) Asia 2015 at The Westin Gurgaon. 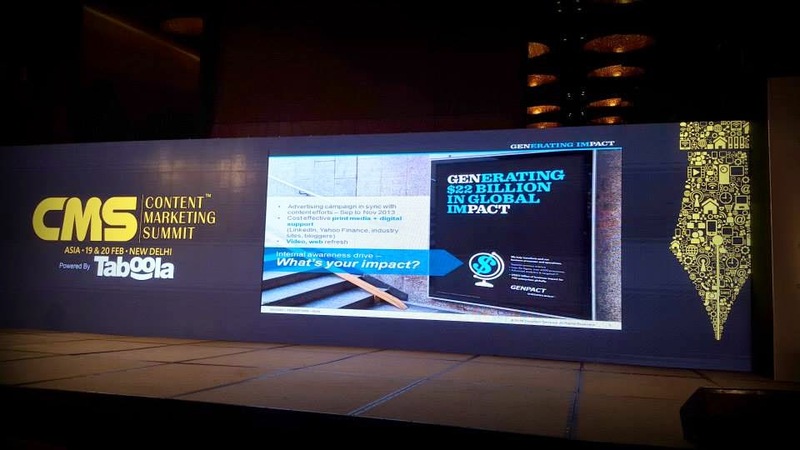 Content Marketing Summit is a premier event for content marketers and creators, publishers, technology enablers, and leading practitioners from all across the world. Here's a recap of all the action as it happened on Day 1 of the summit, that is, February 19, 2015. 9.00 am: Since I was preregistered for the event (courtesy: BlogAdda), getting passes and meal coupons for the two-day summit was a breeze. Shwetabh was there both the days to ensure we stay on track. 9.45 am: The opening remarks were given by RP Singh, CEO - Sirez Group. According to RP, the summit has witnessed an increase in the number of speakers and partners from last year. Here is an interesting video he showed on "selling aircraft using content marketing". He then declared the summit as open. 10.00 am: The opening keynote address was to be delivered by Adam Singolda from Taboola but he couldn't make it this year (apparently his visa application got rejected). 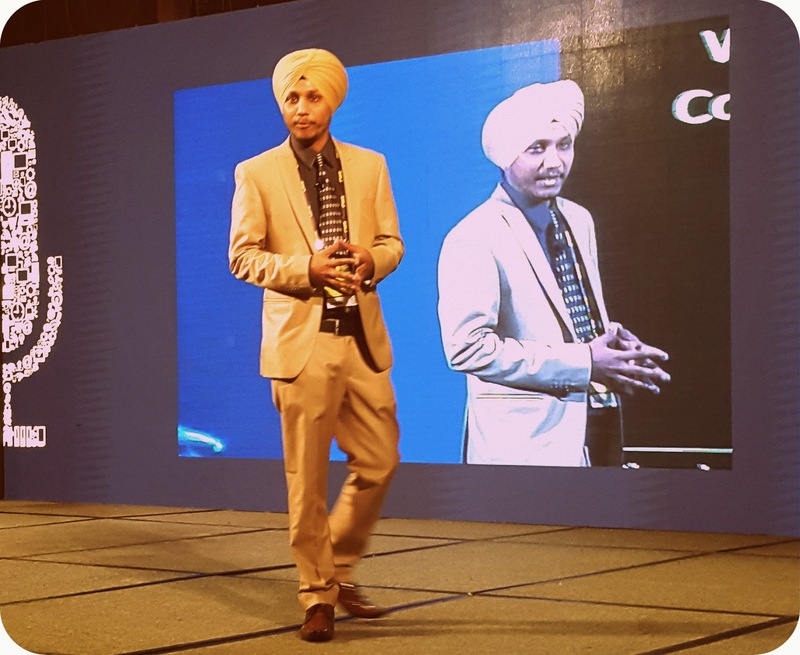 To make up for his absence, Ran Buck, VP APAC at Taboola stepped in and did the honors. Internet has changed like never before. Till 2013, search was considered the key. Now social networking sites hold the key, especially Facebook, Twitter, and Pinterest are the new game changers. People use these sites for recommendations. An insight into Global Internet Device Sales reveals that around 10 billion mobile devices have been sold across the world and the numbers are growing by the day. India and China are two of the biggest countries in terms of Internet penetration (after the US and UK that is). The term "Content" now encompasses galleries, videos, articles, syndicated, user generated, original, and native. Everyone can create and promote content today. The new trend, however, is to create "native" and "branded" content. Content is moving the needle from "traditional" to "social" (Examples: BuzzFeed, VICE, and PlayBuzz). The most shared site in the US is PlayBuzz, overcoming The Huffington Post. The next revolution won't be televised. Every page of content should be personalized; build with publishers. Hindi shows a better CTR (30% more) as people prefer to click and read Hindi content on Hindi portals (Example: Oneindia portal in Hindi; see hindi.oneindia.com). Taboola is the world's largest content recommendation platform. The company came into inception in 2007. In 2011, they became leaders in video technology. 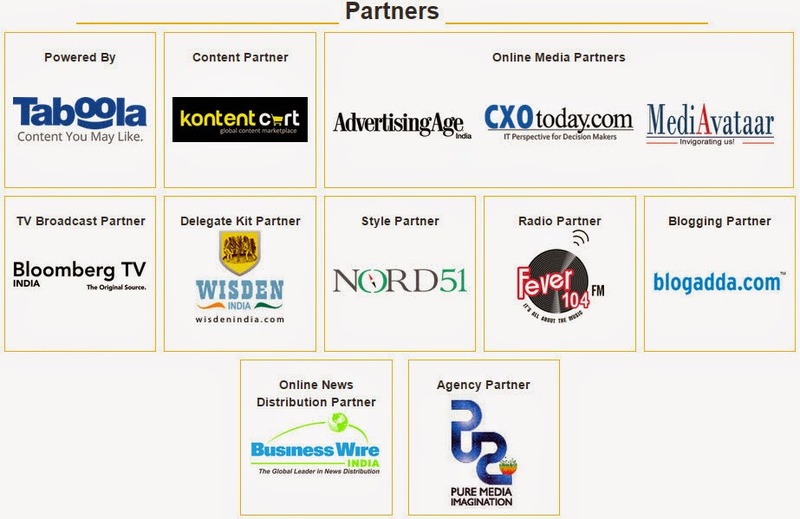 In 2012, they started providing sponsored content. This year they became the largest discovery platform with over 200 billion recommendations. The best growth for Taboola came from the Indian market (around 200 million USD revenue, in a span of 3 years). In terms of achieving scale, Taboola stands at 86.2% just behind Google Ad Network which is at 95.3%. Taboola recently acquired a company called Perfect Market and introduced a new powerful programmatic advertising solution called Taboola-X. 550 million monthly unique users. 86% US desktop users reached. 5 million plus sponsored content. Mobile (share of revenue) in 2012 was 7%, 2013 was 22%, and fourth quarter of 2014 was 40% - The company foresees a strong growth in mobile. Taboola makes 6 billion recommendations a day. Expedia spends 1 billion USD per month on search to build a travel community. Netflix believes in acquiring subscribers. Recirculate traffic based on desired post-click behavior. Example: Bloomberg is using Taboola Discovery Platform to drive traffic. Taboola newsroom: Arm editors with real-time actionable data. Audience exchange: manage, optimize, and track campaigns. Is monetizing traffic from 24 countries across all continents. 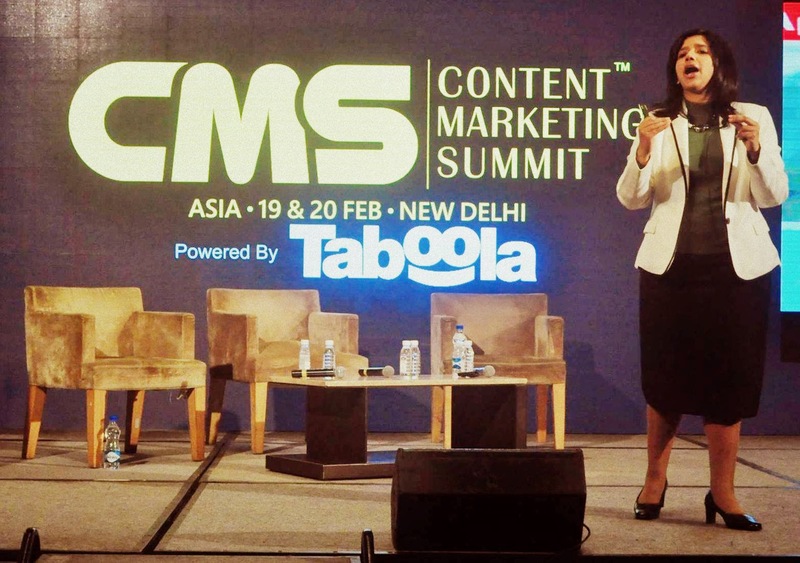 10.30 am: Post the opening keynote address, Amrita Thapar presented a session on "Content Marketing: What to outsource, what to crowdsource and what to keep in-house?" Amrita works as a Content Head for Global Marketing at Genpact. She talked about the challenge of creating content with long shelf life and shared how Content Marketing is impacting sales. Genpact started as a captive but grew into a USD 22 billion company with over 800 global clients. Their employee strength at the moment is 67000+. Bain Capital has the largest stake in the company. Currently considered as one of the "Big 5 Players in Outsourcing". The company transitioned from being "sales focused" to being "marketing focused". Their motto has been speed and agility without increasing headcount. Increased revenue from X% of revenue in 2013 to > X%. Genpact relies on a world-class thought leadership and intellectual property to reinforce the brand message. They want to be in a dominant market position where their clients invite them to bid. Working with the right agencies is important for Genpact. Their focus is on "Awareness, Consideration, and Close". Genpact produces more than 200 artifacts per year such as Whitepapers, Case Studies, and Articles. They also perform field research to create thought leadership content such as Infographics, Videos, Impact Reports, etc. Genpact uses cloud-based platforms; a lot of work in their content factory is outsourced. SMEs are in-house always. Tools used are location-agnostic and web-based. The company has a distribution strategy for both print and digital. They recently launched a website and an iPad app available for download on the App Store @ iTunes. 11.00 am: Post Amrita's presentation, there was a special session by Svati Bhatkal (Satyamev Jayate) and Tara Sharma (The Tara Sharma Show). The session was moderated by RP. Svati is the co-director and field research head for Satyamev Jayate at Aamir Khan Productions. On the other hand, Tara has acted in several films such as Khosla ka Ghosla, Page 3, Masti, The Other End of the Line, Britz, The Bill, Bardaasth, and now has her own multi-platform show called The Tara Sharma Show. For the field research of Satyamev Jayate, Svati traveled across the length and breadth of India and shot stories using a handycam. She later produced a documentary on female foeticide. Her aim was to tell stories through people's voices. Shot three seasons of Satyamev Jayate (her staff was emotionally fatigued after completing season 3). After the first episode titled "Daughters are precious" was aired, the team received around 15 lakhs messages. Post the second episode on "Child sexual abuse," the team received around 19 lakhs messages. The team of Satyamev Jayate started an hourlong segment called "Mumkin Hai" that had a live audience chat after each episode. Through “Mumkin Hai”, viewers were able to connect to Aamir Khan on a number and talk to him for an hour from anywhere in India. Covers topical parenting issues on her show. Started her blog to highlight the challenges of raising her two sons, Zen (born 2009) and Kai (born 2011). After giving birth to two children, she was even more determined to return to work. Personally replies to every mail sent by the community but says it is becoming more difficult now. Relies on her husband, Roopak Saluja, for content marketing and distribution. 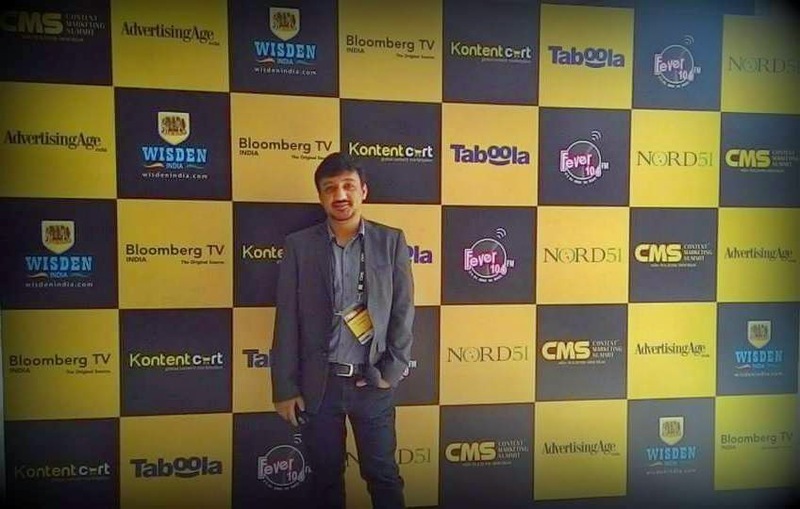 Roopak is the Founder and CEO of The 120 Media Collective. 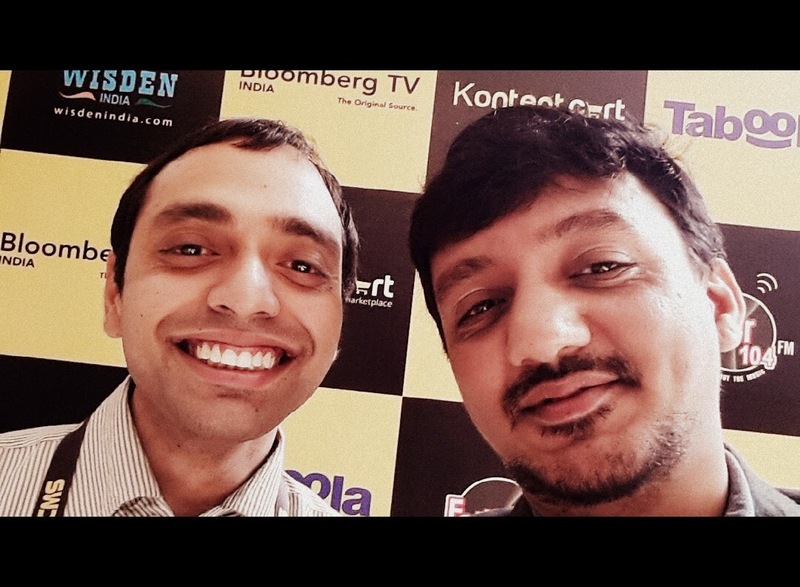 Believes "Content is King and Distribution is Queen". Talking of content distribution, she says: "If a tree falls in forest and no one's there to hear, did it even fall?" Tara treats her audience as global (her show is now aired on STAR World India to an English speaking audience); she has even written to Oprah, inviting her on the show. Believes that social media and social change go hand in hand. Her planning for content is simple. She doesn't want to patronize. Says "Have a smaller audience and remain true to that." Never say only TV, say multi-platform. Focus on audience and guests. After TV broadcast of her show, the content gets uploaded on her YouTube channel for timeless viewing. Says "Don't worry about the format; be driven by instinct." 11.45 am: Next session was from Sujatha V Kumar who spoke about "Winning the youth audience with awesome content". Sujatha works as a Category Director - Marketing at Coca-Cola India. People have not changed but tools of communication have. Secret formula of Content Marketing is Consumer. Says "Make your content to do a little extra". Coca-Cola has two teams to fuel content marketing: brand teams and integrated marketing communication teams. The company values brand assets and invests in future. Does more than product centric marketing. There is an element of sameness in B2B; start by asking "who is your end consumer?" Emphasized the power of a story well told. Asked content marketing professionals to connect with human emotions and appeal to a higher purpose. Sujatha revealed that Santa Claus was created by Coca-Cola in 1939. Provided a tip: "Aim for a clean and targeted Consumer engagement. Tell a strong story." Can a beverage brand change the world? She showed videos about Coca Cola's way of engaging through content. Central idea that was promoted: Mean Joe Green could smile after drinking a Coca-Cola. Central idea that was promoted: Spreading happiness through Coca-Cola. Central idea that was promoted: World peace and happiness. The ad was televised in 1971 around the same time when the Vietnam War shook the world. Central idea that was promoted: Bringing in a moment of happiness for the people of two countries, India and Pakistan. Spreading the idea of "open happiness". Central idea that was promoted: Provoking happiness through music. Coke Studio @ MTV, which is an Indian television series, brings in a confluence of diverse musical genres like vocal, instrumental, traditional, modern western, regional, folk, etc. from all parts of India. 3 seasons have already been aired, 256 artists have already been showcased, and 30 hours of content has already been produced. The show has traveled to premium cafes like Hard Rock Cafe, colleges and universities, etc. All Coca-Cola labels endorse Coke Studio. The fourth season of Coke Studio will be aired in June 2015. Central idea that was promoted: "When will happiness strike next!" 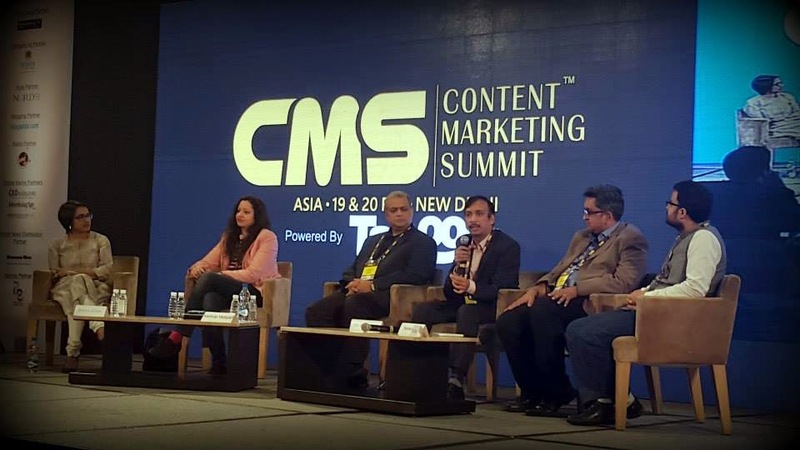 12.20 pm: Next, there was a panel discussion on "Is content distribution more important than content creation?" What is marketing? Letting people know that content is available or accessible. What is distribution? Ensuring that content is available or accessible on channels. Fascinating time for creators of content. Content without visibility is dead. It needs to be consumed. Spending money on content distribution is a no-no. Create content that people will share (focus on "organic sharing"). Think beyond text and video. Consumers are partners in the process of content creation and are active stakeholders. Quality is directly proportional to virality. Check if community is sharing your story. Also check how many people were influenced by your brand. After discovering your key influencers, redistribute your content. Content distribution and creation go hand-in-hand. Content is like a story; it should take you from place A to B. Digital as a medium is experimental. Create your own content and find distribution channels. Discover that initial seed to establish a foot in the door and let distribution do the rest. Measure success with analytics (some metrics of success are number of shares, number of likes, and time spent on each page). Content marketing is becoming predictable and scalable. Choose a multi-brand agency that does organic engagement with communities. There is enormous pressure these days to research good quality content. Most brands are trying to woo the consumers. Having a deeper understanding of the brand. All brands start at a level where they don't know how to accomplish a certain objective; own the conversation. Brands too consummated on creating viral content. The problem with distribution channels is: problem of plenty. Analytics can play a crucial role to address this problem. Leverage the power of YouTube as a recommendation platform. Tell a story with all its imperfections. Recognize the value that integrated marketing communication can create. Paid prioritization or promotion of news goes against the ethos of content marketing. Question for the brand: "Will you be able to live up to the standards, after the initial trust has been set?" Analogy drawn towards a guy asking a girl out for coffee date (feelings of mutual trust, security, and interesting conversation). 2.00 pm: Post lunch, Vaishakhi Bharucha gave a session on "The code for content for techies". Capgemini was not a preferred IT employer in India up until a few years ago. Companies like Infy or HCL were preferred over Capgemini for IT jobs. People forget they were a kid. Basic human principles don't change. Rule 1: Shun analysis paralysis. Data is actually insights. Rule 2: Don't be a marketer. Be a consumer. Rule 3: Be human. Don't bore your reader with your content. Treat your readers as you would want yourself to be treated. Super Techies Show saw participation from over 12,000 techies and 27 teams. 41% more registrations in Season 2 and 17% more registrations in Season 3. Technology can solve real IT challenges (that's how the idea was sold to CMOs and CFOs). In Season 3 of the show, universities were pitted against corporates (the final was shot in a university in Paris). Content distribution was done via Twitter, Facebook, YouTube, Blogs, and Contests. Niche is always a virgin territory. The show appealed to the intellect. Business challenges were set by the CIO. Season 1: Focused on gamification and rewards via Facebook. Season 2: Microsite launch and appeal changed (for techies). The candidates had a chance to attend direct L2 interview with Capgemini. Pageviews: 4m, Website visits: 268k, Contest players: 62k. Jashn 2014 - Flash Mob in Capgemini Mumbai (see the video below). How it became popular: See here. Align with the pulse of the organization. Align with the corporate values. IT industry is process driven. Introduce an element of fun. Have a message to deliver. Plan. Support. Deliver (Capgemini employees brought cameras to record the video). Enjoy the numbers. Savor the comments. Appeal to the intellect, ambition, and emotion. Test, test, test. And then experiment some. Keep the ring on finger and see it doesn't get thrown out. Content marketing is about quality, not quantity. Don't choose your channels, use your channels. Prefer YouTube over TV (Timeless versus Time-bound). 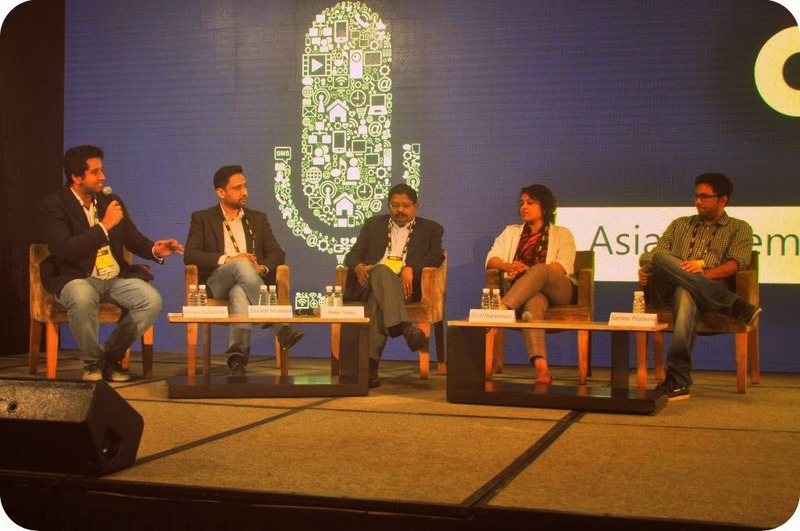 2.35 pm: Next, there was a panel discussion on "From Campaigns to Content - Navigating the shift." Content Marketing is the ability to take your brand and tell stories that are contextual to the community. Content Marketing is much more measurable than traditional. 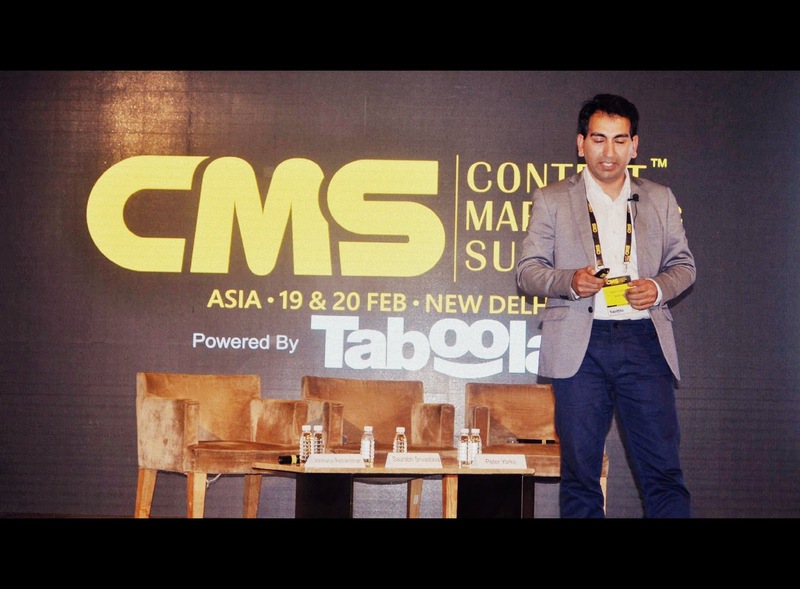 3.15 pm: Nikhil Sarup brought the house down with his fantastic session on "Kickstart your content marketing program - 24 hour challenge". Good content is difficult to produce. Agencies are evolving. Copywriter is not the same animal as content writer. Good content = Expense + Pain. The question to ask is: "Is it also the most valuable?" Publishers know how to get 90% (Example: Girly magazines where the same content is published in a variety of ways over and over again). Stop thinking like a publisher. Act like one. Syndicate: Content should be fit for category and audience (70%). Commission: Custom-made content to fit your brand needs (20%). Create: Content which clearly promotes your brand (10%). 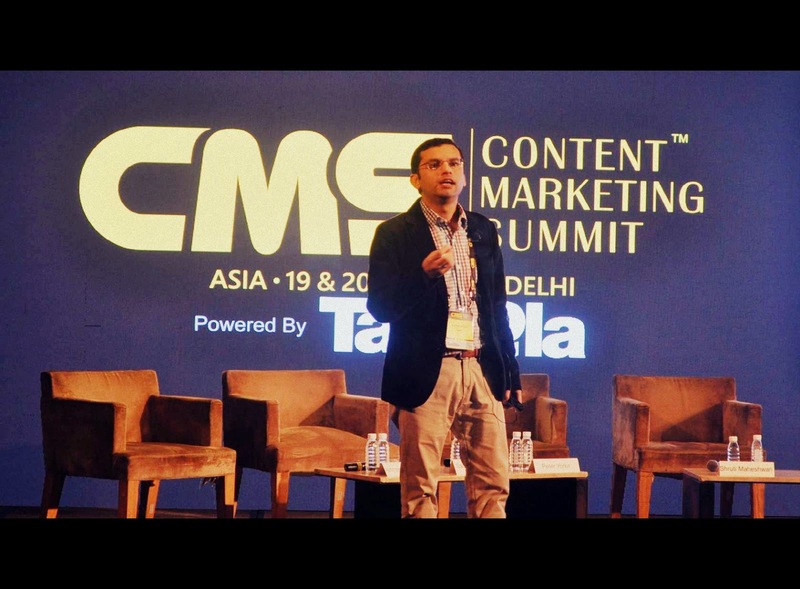 3.30 pm: Aashish Midha presented a session on "Content Marketing Strategy: A Hero Motocorp perspective". Content: Customer can be moron or wife or in the center. Your strategy should be "Thinking for him, not like him." Customer will value us to the extent where we are delivering value. Brands: Whatever we're doing is like a wave (flipside). Examples: Arab Spring and Dandi March. In case of Arab Spring, social media played a crucial role in the uprising, whereas in case of the Dandi March, growing numbers of Indians joined Gandhi along the way becoming the carrier of the uprising. 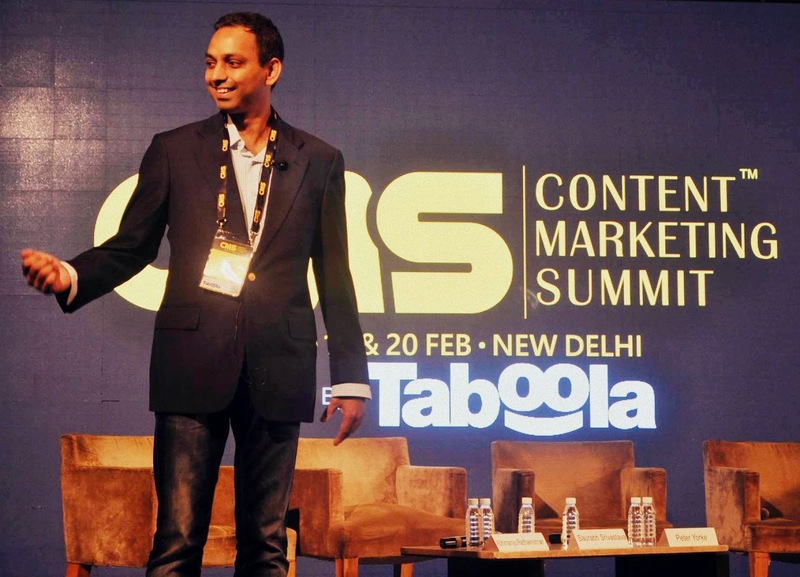 4.00 pm: Swapnil Shrivastav talked about the role of technology in Content Marketing. 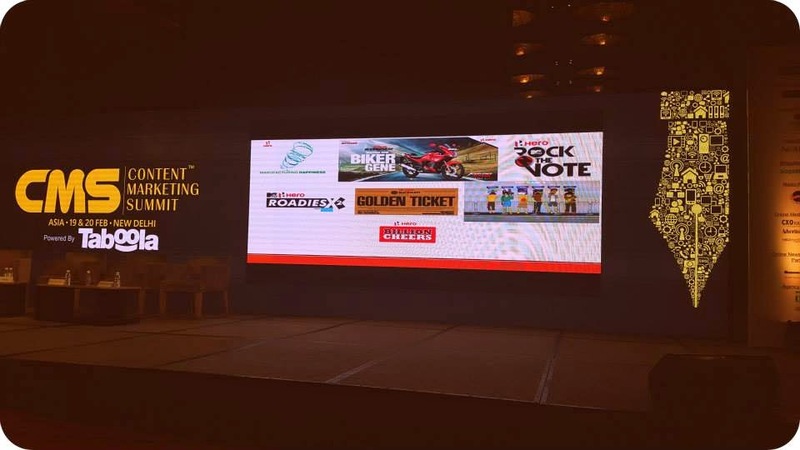 Placement of ads and context is crucial for banner displays. Google and Facebook will have the cross device advantage. 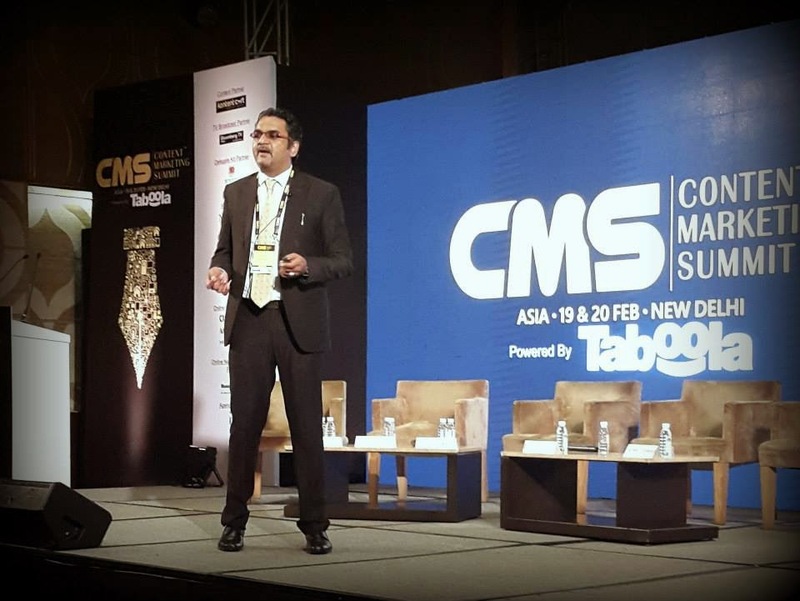 4.30 pm: Manu Nanda delivered the final session of the Day 1 on "New consumer journey: Are you ready for the future?". Create content regarding your brand's history and highlight the brand's USP. Thanks RP for letting me attend this event. It was a delight to see all the action firsthand.